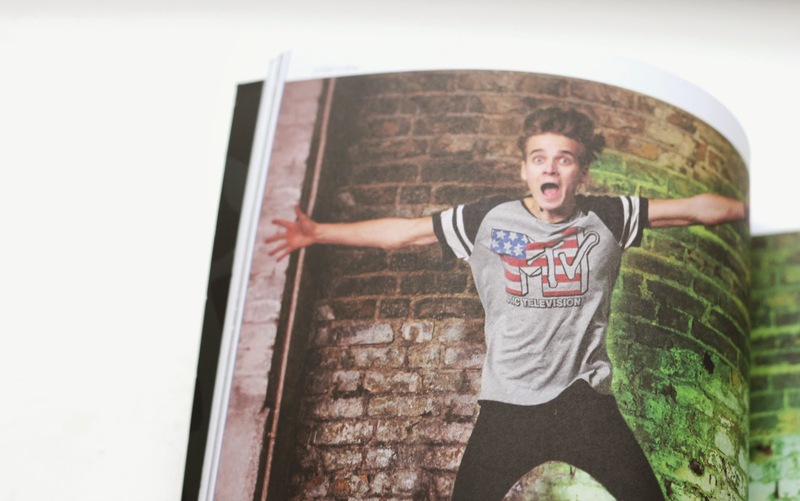 Blogosphere Magazine Issue 5 - Joe Sugg. Blogosphere magazine £4 + postage. Bed In The Kitchen A magazine about bloggers for bloggers, as you may know already from previous posts about Blogosphere magazine I am a big fan. I think this magazine is perfect for inspiration and to find new talented bloggers. I enjoy reading every single page of this magazine with a hot chocolate in hand. I think that the whole look of the magazine is great, all the blogs are set in categories from travel to beauty. I like that, I find that it has great structure and its a great source of inspiration. This is the fifth magazine from them, with Joe Sugg on the front who needs no introduction over on my blog, he is known worldwide. I enjoy watching YouTube channels so its great to have interviews in this magazine. My favourite previous issues are the ones with Fleur De Force and Essie Button on the front. As per usual as soon as I hit pay on the checkout I instantly want to read my copy. This issue has to be one of the best so far though, they are constantly upping what they do. Blogosphere is available on E book too which is great if you cannot wait to read it or great for travel. If you fancy catching up on the magazine you can buy it in a bundle, this is also a great idea for a gift this year for any friends who love blogging. Its something you can keep and collect, I know I would like to have the full set for my office. Even though I read it all in one day I find myself picking it back up a couple days later. A feature I love about Blogosphere is that the editors pick out their favourite blogs too. Having this magazine to read helps you to find new blogs to read which is great, we all need to support each other. What do you think of Blogosphere magazine? Order yours here. It's so cool how big the YouTube and Blogging world is getting!